Front seating with removable table, under-seat storage, eight cup-holders, speakers & railing. Red and white upholstery. 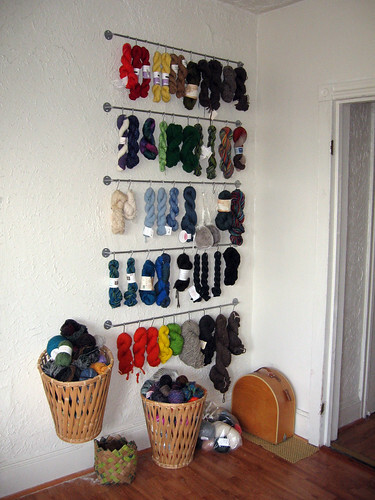 The yarn wall my husband built for me! it is really sweet! I love it so much. The pieces are from ikea. That is my Louet hat bow spinning wheel sitting in the corner down there!